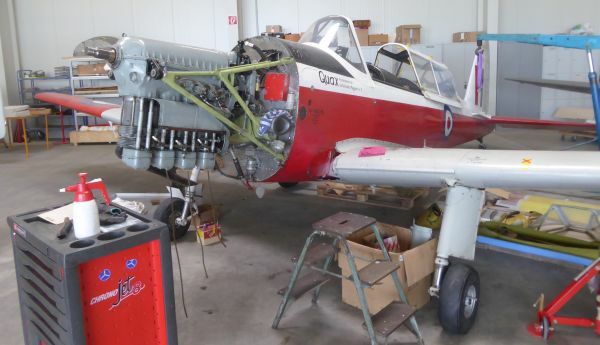 The "Quax" club at our local airfield was established to restore and maintain vintage (military training) aircraft in a flying condition. 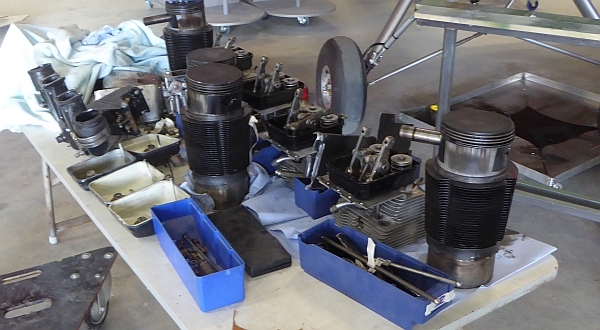 Members share hangar space, workshop facilities and the club's own mechanics. Twice yearly there is an open-hangar day, so Frank and I popped in to see which subset of their planes was on display this year. 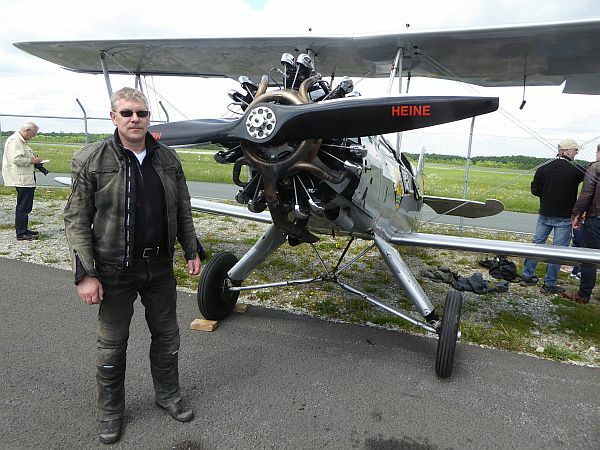 This first photo is for Cop Car, once a part-owner of a Bücker 131 Jungemann biplane, like this one shown below. 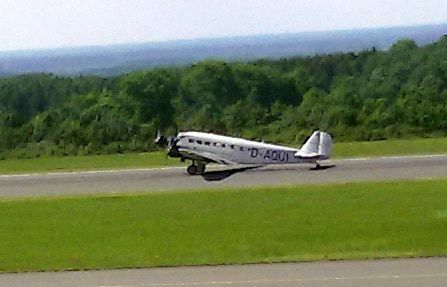 The Bücker Jungemann (ca. 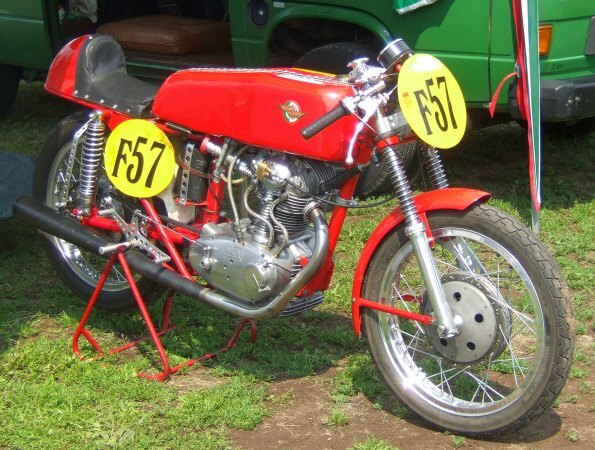 100 hp) was used as a trainer from 1935 until 1968. Wood,metal and fabric construction. It is docile to fly and is capable of mild aerobatics. The one I flew was a CASA 131, a spanish licensed version. 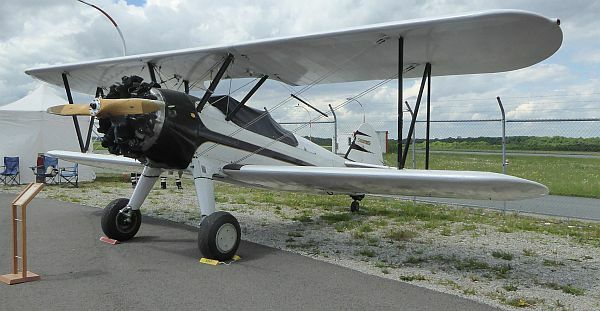 Comparable contemporary planes were the british Tiger Moth and the belgian Stampe F4. 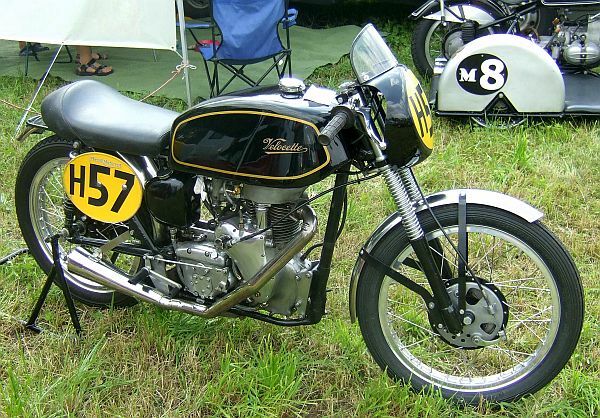 Its successor was the Buecker Jungmeister 133. 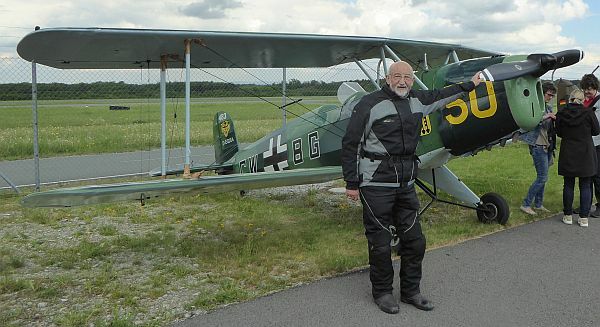 It first flew in 1935 and was the Luftwaffe's standard advanced aerobatic trainer from 1938 on. Very agile to fly, it remained competitive in international aerobatic competition into the 1960s. 160 hp radial engine. 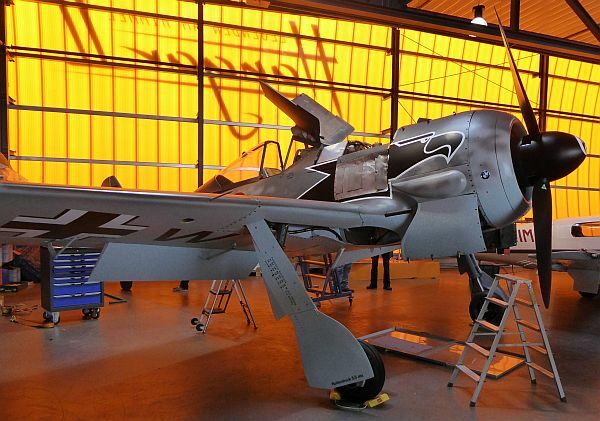 Moving forward from the biplane era to the monoplanes, there is a Focke-Wulf 190 being restored there. It is German single-seat, single-engine fighter aircraft widely used during World War II (1941-1945), 1700hp, 400mph. 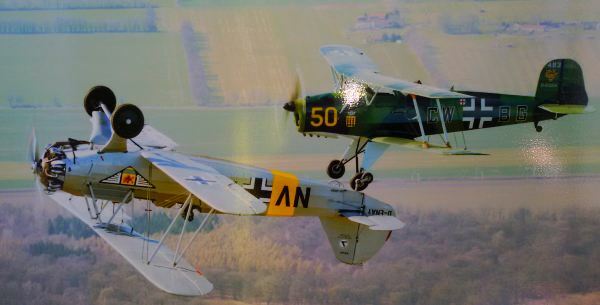 My friend Anton (RIP), flew these in WW2. Nice warbird, it must cost a small fortune to restore to flying condition though. The first post-WW2 aircraft on display was a Cessna 195 (1947-1954) used by the USAF and Army as a light transport and utility aircraft. This one was even used as an airliner! This is a view into the workshops, where overhauled engines are being refitted. Next we walked over to Hangar 2 where the post-WW2 jet trainers are hangared. This is a czeck Aero L39 Albatros which was the standard trainer for the Soviet bloc, 1972-1996. The Albatros is the most widely used jet trainer in the world. The single turbofan pushes it to a Mach 0.6 cruise. 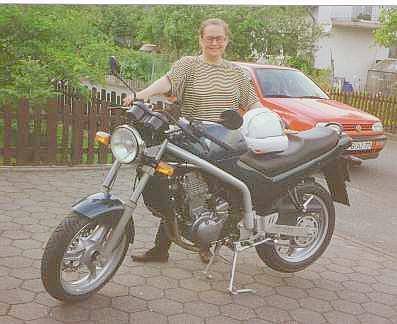 I last saw one in Kunovice (CZ), two years ago. The equivalent trainers in western europe were the BAE Hawk and Dornier's Alpha Jet. Easy to fly. One of the early french jet trainers (1958-1967) was the Fouga Magister. I find it underpowered, but it gets you used to twin engine-in-the-fuselage operations. Interestingly : NO ejector seats! The contemporary US equivalent would be the Cessna T-37, I suppose. NATO preferred the Fiat G91 (from the 1960s onward). Finally, here is a link to my blog on their 2015 open day. 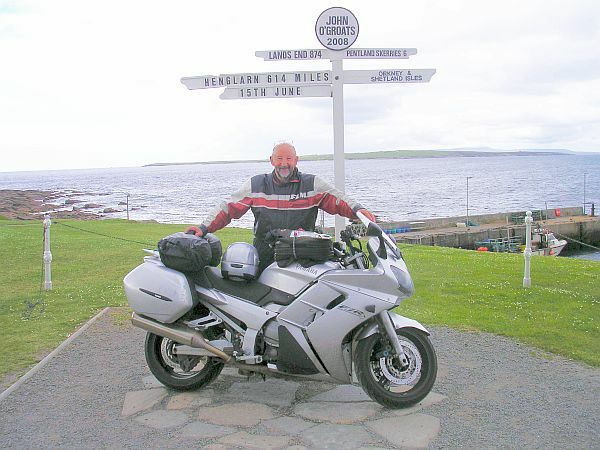 Doug (Canada) wrote "Speaking of learning to fly see here. " Wow, scary! 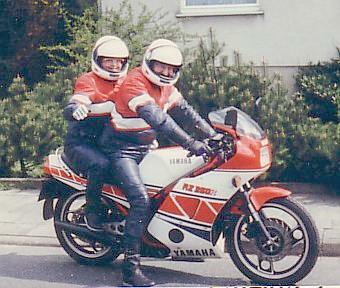 My old friend Ernst Leverkus, nicknamed Klacks, died 19 years ago today and is still sadly missed by many. 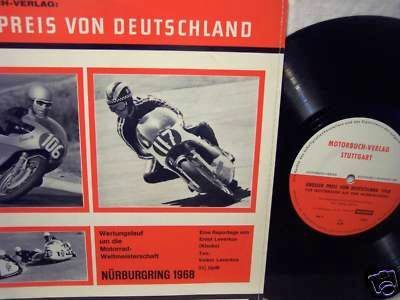 He became famous as a - nay, THE - motorcycling journalist in Germany for half a century. 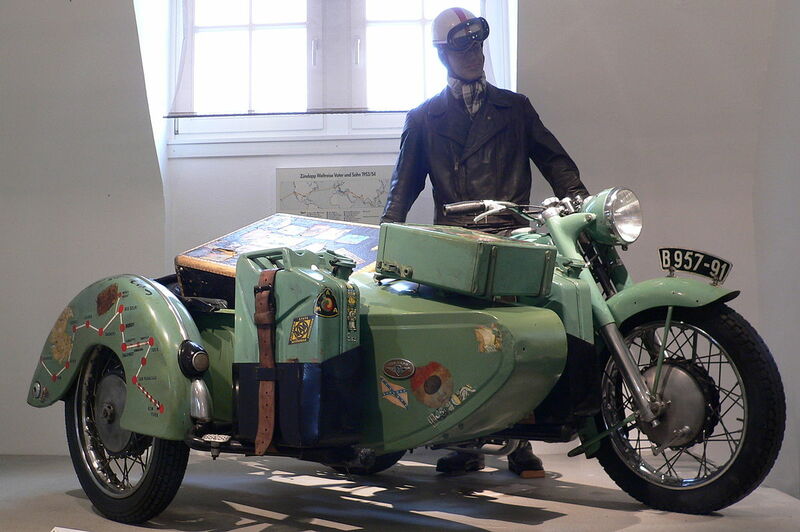 His first encounter with motorcycles was as a dispatch rider in WW2, mostly off-road in difficult terrain, usually in a Zundapp KS601 sidecar outfit. The dispatch riders at the time of WW2 in the UK - riding e.g. the streets of London during the Blitz - were often teenage girls . . . such as Elizabeth, later to become Queen. 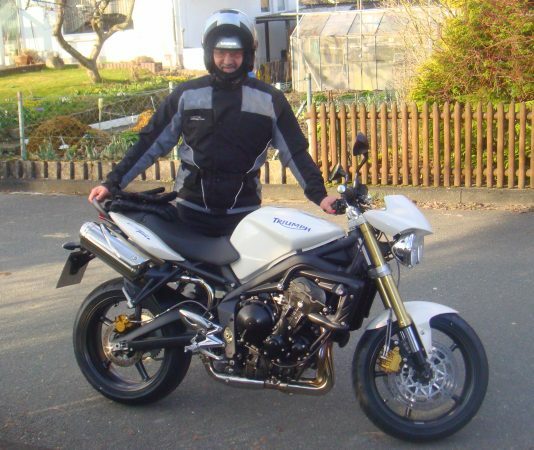 Klacks invented the tank-top rucksack, the emergency scarf (there were no mobile phones in the fifties), the Elephant Rally which involved camping in the snows of the Eifel mountains in february (been there, done that), the Longest Day rides. etc etc. When I was a teenager I had really struggled to read James Joyce's Dublin-based stream-of-conciousness novel Ulysses. Believe me, I was glad when I'd finished it, even if I hadn't understood everything, and vowed never to read any novel even remotely as difficult! Then, in the mid-seventies, along came Gravity's Rainbow by one Thomas Pynchon :-( Gravity's Rainbow was proposed for the 1974 Pulitzer Prize for Fiction so I thought I'd give it a try back then. Wrong decision! It is long, very long, boring and complex, at times obscene and profane, turgid and very much overwritten. The Pulitzer Advisory Board agreed and rejected the nomination. TIME magazine however puts in the top 100; other critics claim it is one of the greatest American novels ever written. Crap! I firmly disagree! It sits now on my shelves gathering dust. I never finished it, despite three tries. It is so dense that other authors have written books explaining it (alledgedly) : "The Gravity's Rainbow Handbook: A Key to the Thomas Pynchon Novel" by Robert Crayola is one, another is "A Gravity's Rainbow Companion: Sources and Contexts for Pynchon's Novel" by S.C.Weisenburger. Take all the help you can get if you want to try to read it! My opinion? TL;DR.
Cop Car wrote " I don't know whether to congratulate you for your perseverance in finishing "Ulysses" or thump you on the head for being such a masochist. When I tried to read "Ulysses" in about 1995, I could make no sense out of it - and I didn't need James Joyce to teach me dirty words - so, I quit about 50-100 pages into the book. He wasn't a genius. He was a dirty old man! Next to that, the hardest book I've read was Aleksandr Solzhenitsyn's "The Gulag Archipelago". I read it in about 1991 as light, before-bed reading, over a period of weeks. It felt so good when I came to the end and could quit reading such dark prose." I've never read Solzhenitsyn and I'm not about to start now. 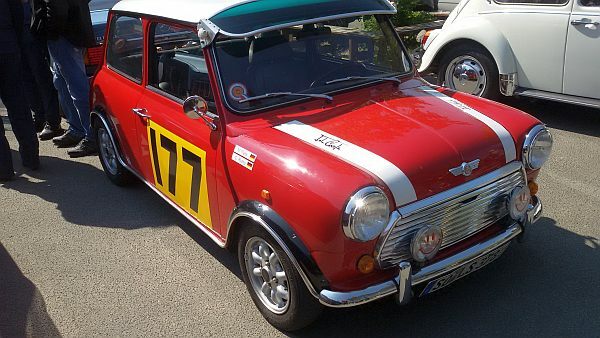 And Sarah, this is a Mini Cooper. Do you still have yours? 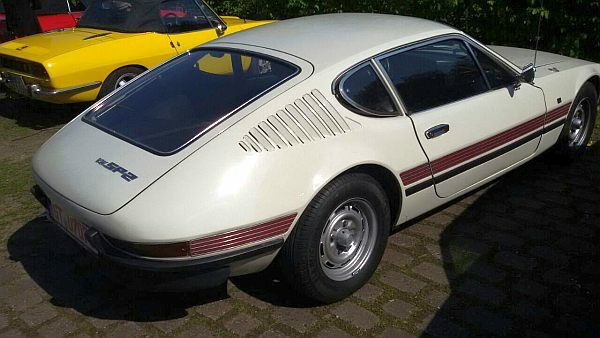 Probably the rarest car there that weekend was this VW SP2. They were made in South America without the express permission of the VW management here. 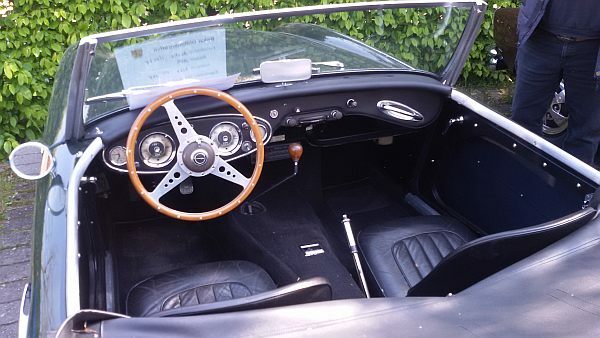 Air-cooled motor, tuned a little, for more performance than the bug. 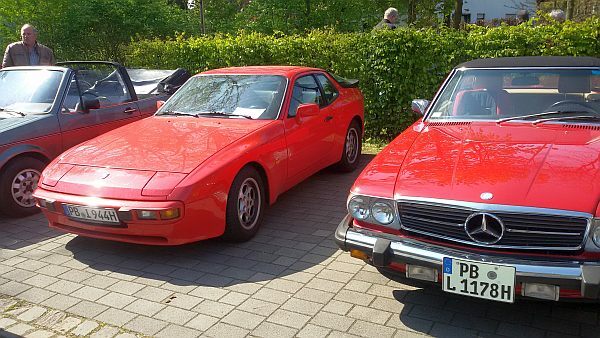 Back then only 1 was imported into German (by VW???) and it is now in the factory museum afaik. 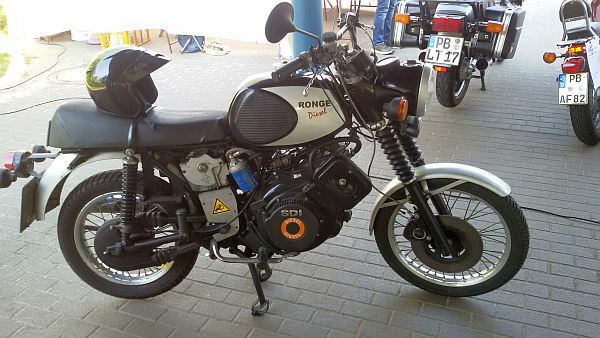 Over in the old-bikes section was this diesel-powered (sic!) Ronge. I've never seen one of these before and even Wikipedia doesn't seem to know anything about them. Nor does Google! I like the way it has a pull-starter :-) Maybe the engine is based on a snowmobile (there is a place in Canada called Ronge) ?? Anybody got any info? 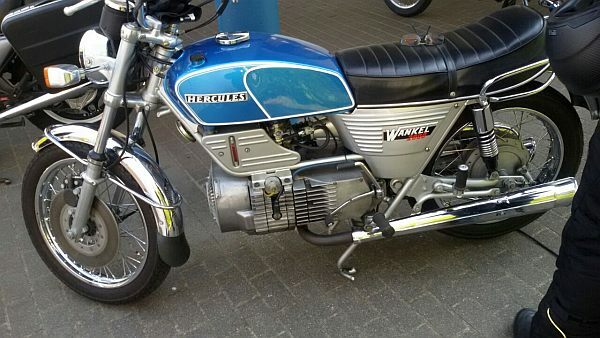 Another rare bike on show was this old Hercules which features a Wankel rotary engine. 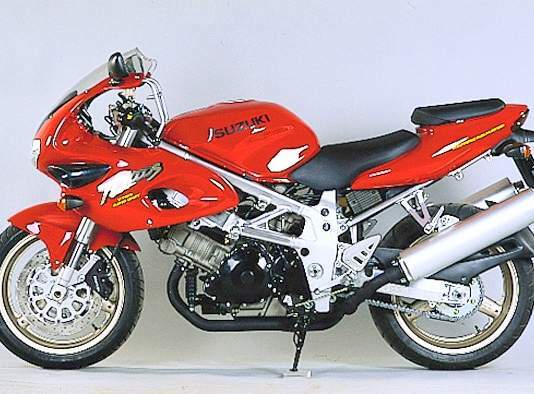 It was nicknamed "The vacuum cleaner" when it came out , because of the cooling fan up front of the single-rotor engine. 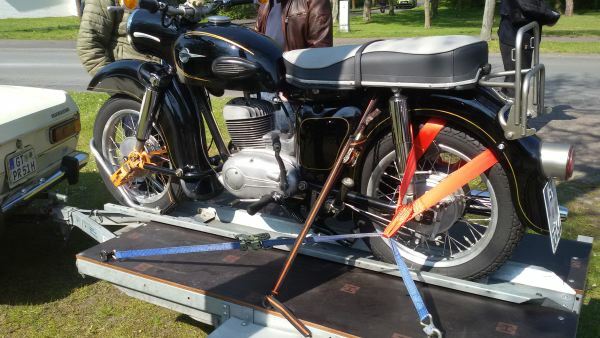 It disappointed me that some people brought their prize possessions (like this MZ, but quite a few cars too) on a trailer :-( They should be made to drive them there, as I did with mine! Finally, how's this for an exotic conversion? 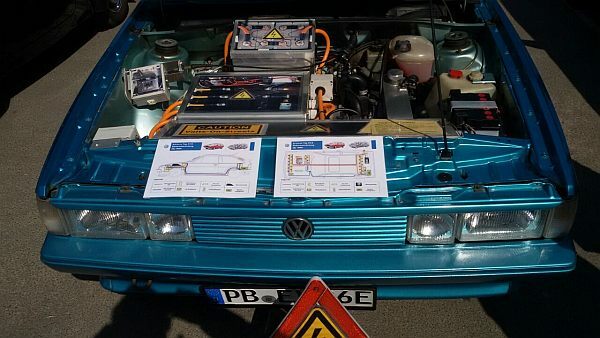 The owner converted this old VW Scirrocco into an electric car and displayed details of the electrical power circuits in use after the conversion. 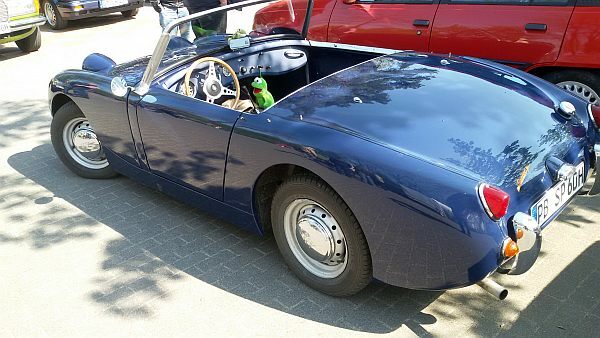 Now that's what I call a home-built car, very professional looking! Fully road-legal too! The E at the end of the number-plate indicates it is an electric vehicle, accorded certain privileges (e.g. tax free). The oldtimer cars have an H at the end of their plates, like mine. H-plated cars get reduced taxes & insurance and emission exceptions. 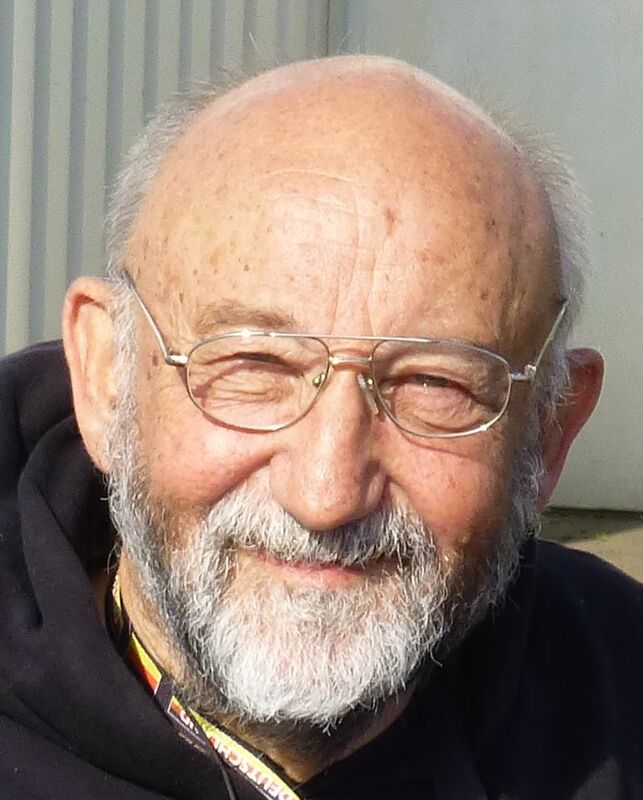 Karel (CZ) asks "Why do you call it a Buecker formation when the camera plane is a CASA?" The CASA 131 was a spanish licensed copy of a Buecker Jungmann much used by the spanish airforce back then. When we fetched one back from Spain (later D-EOMM) there were over 20 layers of their 'battleship-gray' paint on it. Anton removed them and painted D-EOMM bright red. Currently it is painted white.